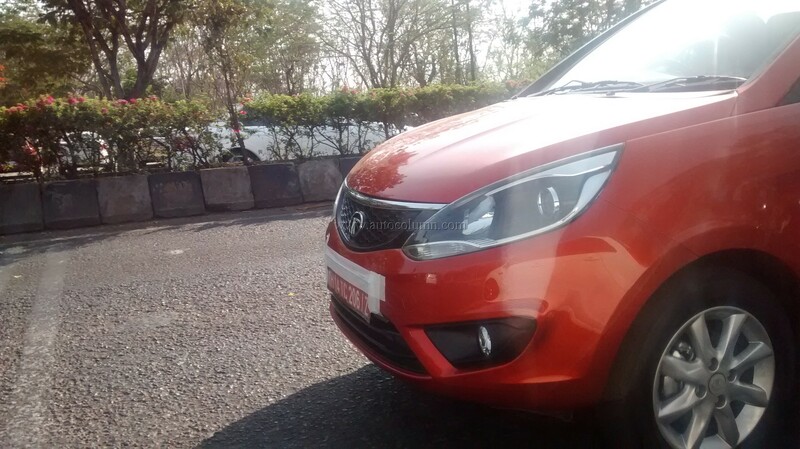 The Bolt is the Tata Motors entry into the ever growing premium hatchback segment. TATA is desperate to lose the image of Taxi and Commercial Vehicle manufacturer tag with the introduction of the Bolt hatchback and the Zest compact sedan. Tata Motors had showcased these vehicles in 2014 Auto Expo this year the vehicles are expected to arrive at showrooms soon this year. It seems the series production of vehicle has already started and the car is in final stages of testing. 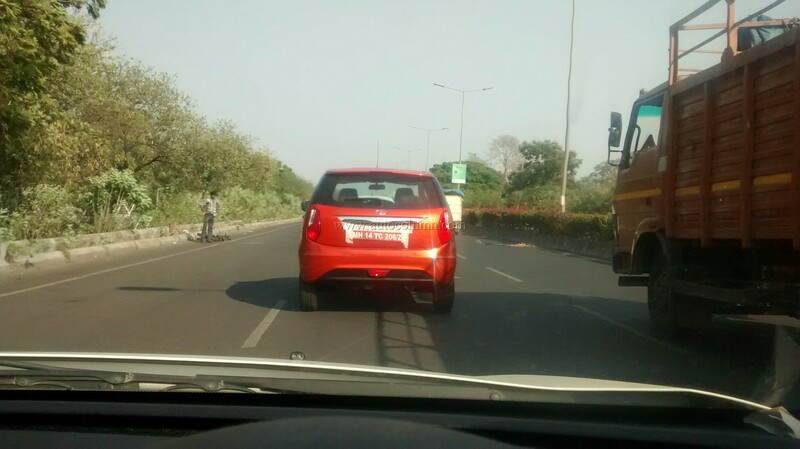 We spotted one of the production cars without any camoflauge being tested around Tata Motors plant, Pune. There is lot of chrome on the car at front and at rear to make it look like a premium offering. The test car was spotted with projector headlamps and alloy wheels. With these changes in design, the car manages to lose the ‘Indica Vista’ stance when seen on road. Tata Bolt will be powered by 1.2 liter ‘revvotron’ turbo petrol engine that churns out 80 bhp and 140 Nm of peak torque. The diesel mill is the same 1.3 liter MultiJet sourced from Fiat, that has maximum power of 75 bhp and 190 Nm of torque. The 1.2 liter turbo-petrol engine will be first in segment offering by Tata Motors. Tata Bolt will also get a segment first – Driving Mode options for different moods of driving- normal Cruise mode, Eco mode and Sports mode. 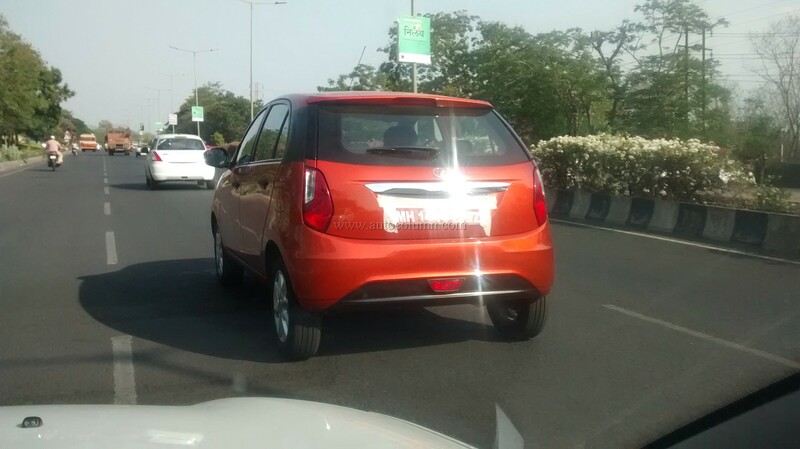 Tata aims to redefine the B+ segment with the Bolt. For compact sedan market Tata Motors has an all new offfering- the Tata Zest. The Zest will get the 90 hp version of 1.3 liter diesel engine coupled to a (segment first) AMT transmission. 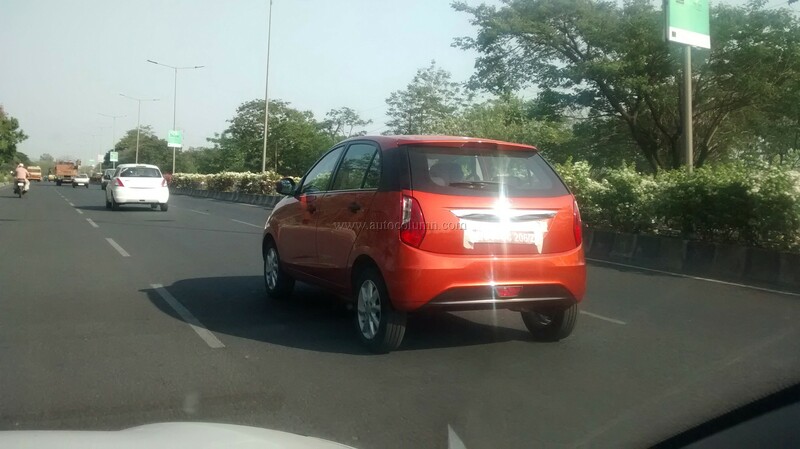 The Tata Zest will run on 16 inch wheels whereas the Bolt will have 15 inchers. 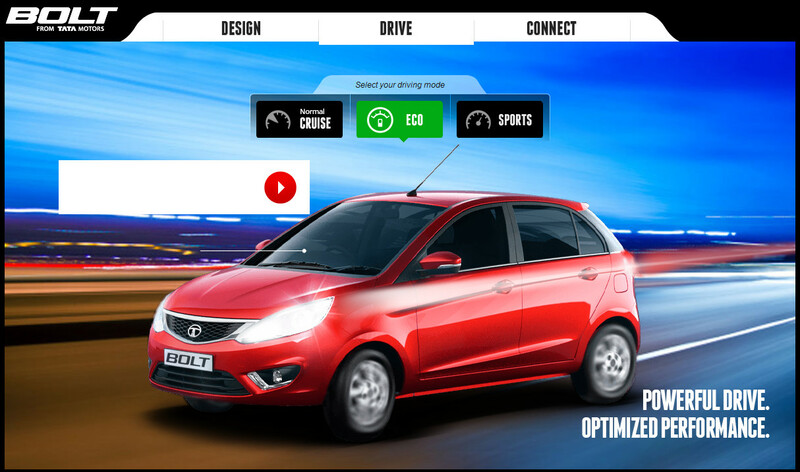 Tata Motors recently launched website for both the cars and launch is expected in June this year. If successful, the Zest and the Bolt can help Tata Motors to bounce back in the passenger car market in terms of market share and volumes per month. No doubt, the company is bringing good looking cars and better quality interiors, it will only be a matter of time to gauge how people have reacted to TATA’s change in quality.